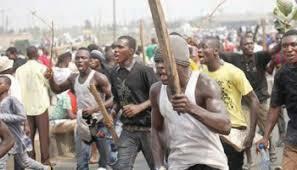 Violent protests trail PLATEAU local Government poll results – Royal Times of Nigeria. 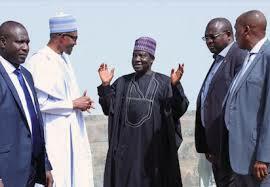 The peaceful protest in some parts of Plateau State against the announcement of the result of Wednesday’s local council election conducted by the Plateau State Independent Electoral Commission, PLASIEC, has turned violent leading to razing of some government and private property. After the election, PLASIEC officials abandoned their duty posts as voters were waiting for the results to be announced at the various collation centres. However, the PLASIEC Chairman, Fabian Ntung, before a handful of newsmen, announce results declaring the All Progressives Congress, APC, candidates winners of 11 local councils election while those of Mangu and Langtang North were declared inconclusive. Governor Simon Lalong later announced on Radio that the winners would be sworn in soon. Angry youths thereafter took to the streets blocking the highways and burnt down four houses in Langtang South Local Government. The major opposition, PDP, blamed the state government for the destruction of properties. The party, which claimed that its agent was bundled out of PLASIEC premises before the results were announced said the travesty will not stand. The State PDP Chairman, Hon. Damishi Sango faulted the entire electoral process and warned the Governor and the ruling APC in the state not to breach the peace in the Plateau and allow the will of the people as spoken through the ballot to prevail.